Class, gender and sectarianism in a society of divided loyalties and years of violence and political conflict. How to remember the past and how can we all strive for a shared future? ©2019 NORTHERN VISIONS. All rights reserved. 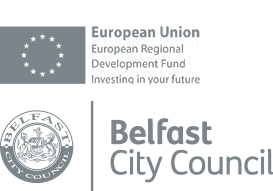 The views and opinions expressed in these videos do not reflect the views or opinions of Belfast City Council and SEUPB.